No reason to settle for a drab EBM container. A thin skin of TOPAS COC - a glass-clear ethylene copolymer - boosts gloss, printability and consumer impact, while adhering tenaciously to the HD underneath. And the bottles remain recyclable! More info here. TOPAS plastics are highly resistant to many chemicals, and are commercially used to deliver long shelf life with chemical stability. In an EBM (extrusion blow molded) HDPE bottle, making the product contact layer from TOPAS COC is all it takes. More info here. 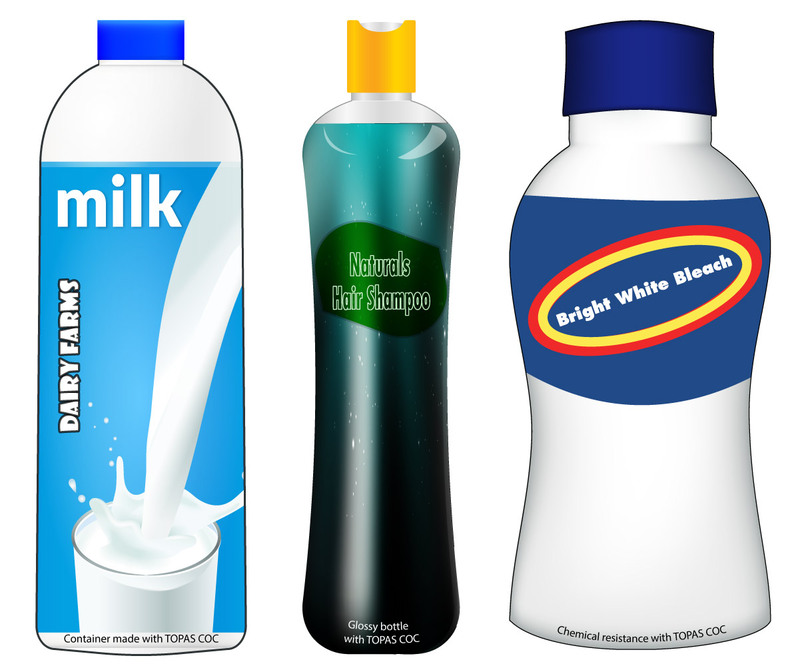 For many years, packaging firms and resin suppliers have explored the potential of ISBM (injection stretch blow molding) to produce thinner HDPE bottles at faster rates, conserving resin and improving economics. So far, processing windows have been narrow at best. But with the addition of TOPAS COC, speeds and process robustness are greatly improved. Be among the first to take advantage of this new technology.